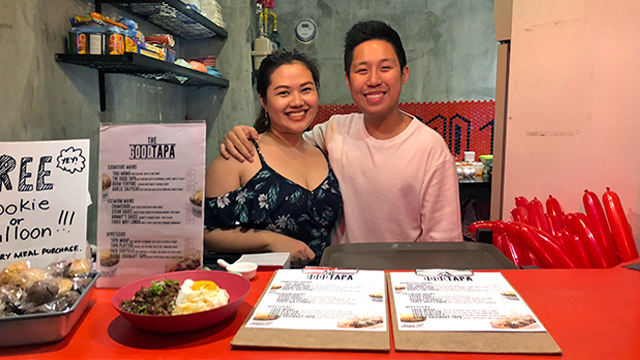 When the founders of The Good Tapa—a food concept that revolves around different variations of the popular Filipino breakfast fare—opened their first stall in a food park in Pasig City in January 2017, they were already looking into opening more locations in similar food hubs. But 13 months later, Geremy Kho and Fatima Ventura found themselves closing shop. Ventura’s optimism amid the shutdown is not misplaced. While the Good Tapa closed both of its branches in food parks, it found a new home, this time in a food hall inside Evia Lifestyle Center, a shopping mall in Las Piñas City. It is the third business channel the founders would try for The Good Tapa, a brand that first made its name in weekend bazaars across Metro Manila and then moved to food parks. Still, Ventura admits the brand’s stint at the new mall would not have been possible if they didn’t ride on the food park trend. For one, the administrators of Evia Mall met the food stall’s founder at the food park. The founders of The Good Tapa had no plans of opening in a mall so soon, especially after investing heavily in the food park trend. But after getting an invite from the mall operator, Ventura and her partner did not dare pass up the opportunity. With a new plan in mind, the couple had to be extra thrifty to properly fund their expansion to the mall. The founders made sure that revenues made by the brand’s branches in the past one and a half years were properly handled to make way for The Good Tapa’s opening inside the food hall. The couple also wanted to stick to a principle they have always had since the start of their entrepreneurial journey: all capital must be bootstrapped. This principled stance with money and funds made the entrepreneurial couple more receptive with other forms of businesses and income just to reach their goal for the brand. So, after receiving a number of queries, Ventura and her partner caved into the demand and opened The Good Tapa for franchising. The couple incorporated a new company solely dedicated to the brand’s franchising business and introduced a new name, The Good Tapa Express. For Php350,000, franchisees can open a new branch of the brand anywhere, with the package inclusive of inventories, a point of sale system, cooking equipment, staff training and other business support. Others who want to participate in bazaars and use The Good Tapa brand may also purchase the Php35,000 bazaar package, which includes stocks needed for a three-day fair. The Good Tapa Express now has two branches in Pampanga and is set to open two more locations in Metro Manila. 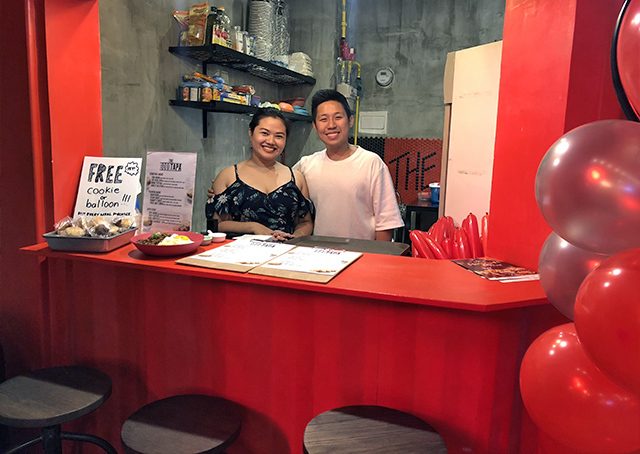 Aside from franchising, the couple now also sells their tapa in frozen packages, creating a new income stream for the business as it is usually bought for giveaways. The idea came at an opportune time, as inquiries about it flooded their inboxes during the last Christmas season. Today, a small food mart in Manila also sells their wares in-store. While the brand seems have to have gone through numerous business channels, Ventura admits there are still several goals they have in mind for The Good Tapa.